Welcome back to our 5th week of giveaways! (Yes, I am giving you a bonus day by posting early!) 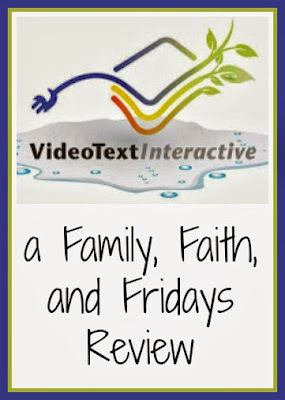 Today I am excited to share a review to go along with this one! 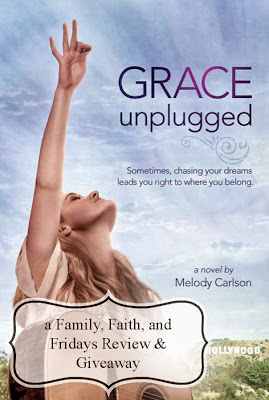 Some of you may know I am not a huge fan of Christian Romance novels, but I do LOVE Christian fiction so I was so excited to get a chance to review the new book Grace Unplugged by Melody Carlson, and its companion book, Own It by authors Michael and Hayley DiMarco. They sounded like a good read and well, let's just say my 15 year old daughter is stalking waiting for the movie. More on that in a minute! Grace Unplugged is a story about a young Christian singer trying to make it big. After several years of shadowing her dad and his brief but successful moment of fame, Grace Trey has the opportunity to make it on her own. Unfortunately her journey in the music business in the "real world" challenges her faith more than she ever imagined. Through the whirlwind climb to success, Grace has to decide whether her faith is real and whether she will follow the world or God. The companion book, Own It, is a catalyst in that decision. In the book, Grace reads the book, Own It, supposedly written by her pastor and given to her by a concerned friend. As in the fiction book, Own It challenges you to decide if your faith is really your own just "rented, borrowed or fake". Through the chapters it helps you see how faith will save you, cost you, change you, complete you and free you. I would like to say I read Grace Unplugged as soon as I received it. That would not be true, because my daughter IMMEDIATELY snatched it up and read it first! We will talk about sharing later! ;) She, of course, read it in a day! It took me two! We both enjoyed it immensely. It is well written, entertaining and challenging. This modern day story will appeal to middle school to adult readers. Alcohol, lying to parents and partying is mentioned, so if you are having a younger reader read it, I would recommend you take a look at it first. Own It, on the other hand, I would recommend you save for slightly more mature readers, maybe high school and above. It is a great book that I really enjoyed, but I do think the subject matter is just a little more challenging to grasp. And the most exciting part, according to my daughter...Grace Unplugged, the movie will premier October 4, 2013. Starring AJ Michalka and James Denton, I have a feeling this movie will be a good one to see. You can watch the movie trailer and see what you think! 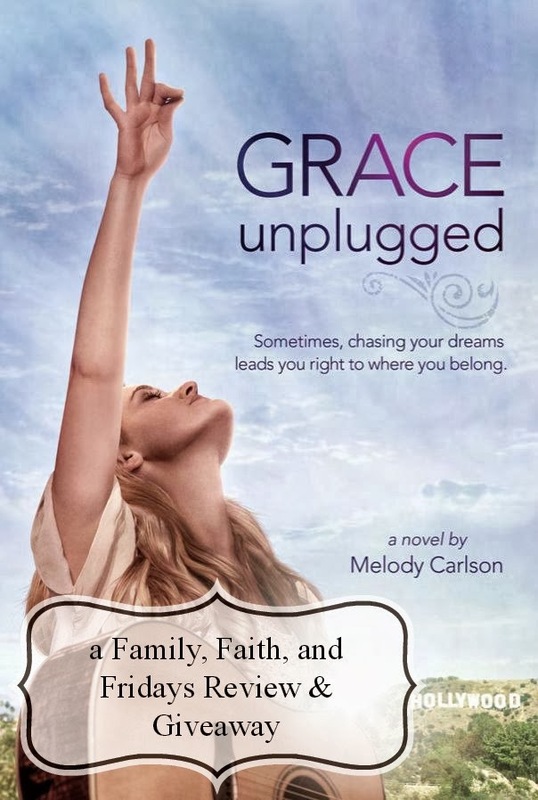 And now...you can enter to win a copy of Grace Unplugged AND Own It by entering the rafflecopter below! Hope you win! OK, when did summer come to an end? Really, driving home from visiting our oldest at college this past weekend we saw leaves that were turning colors. When did that start?? 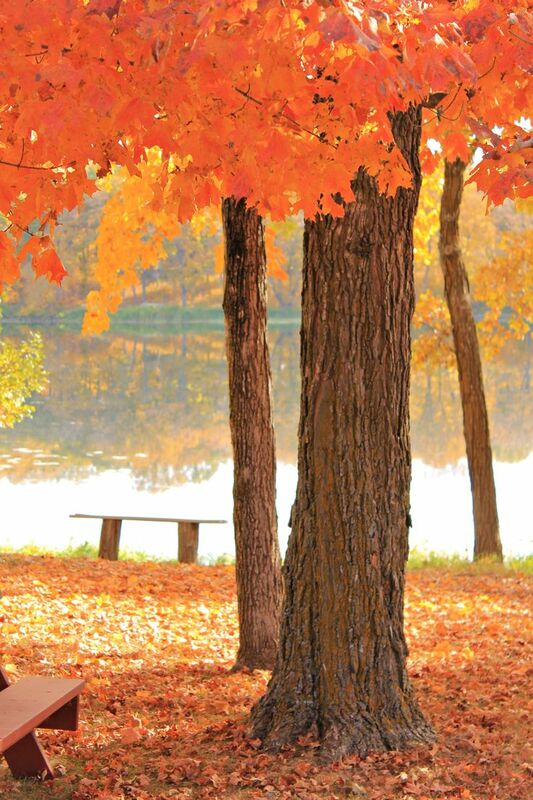 I know, I know, fall officially arrived on Saturday, but where did summer go? 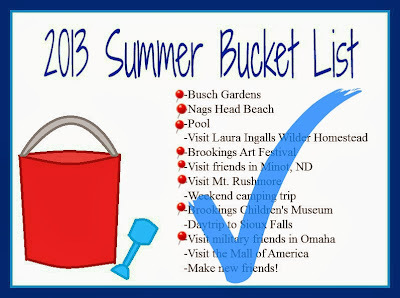 Thankfully, when I look back at our summer bucket list I see a lot of checkmarks and only a few things we missed doing. Even while being intentional, there are just not enough days to get it all done. Making it even harder, our oldest daughter was only home for a short period of time and busy taking online classes even then. I still feel the need to include her...she hasn't left the nest completely yet. OH, yes, and add in our cross country move. So it all did not get done. Yet. But looking at that list makes me smile as I remember the fun we had. For several years now, we have tried as a family to be more intentional at collecting memories rather than collecting things. And, yes, it does take being intentional. Otherwise, time just seems to slip right past you. At least for our family, it seems. So this summer, we decided to break down our memories into smaller, bite sized packages than in the past...no Disney or ranch trips this year. made new friends along the way. Not to worry, we may be winding down for a while until college girl returns, but we have not completely abandoned our list. 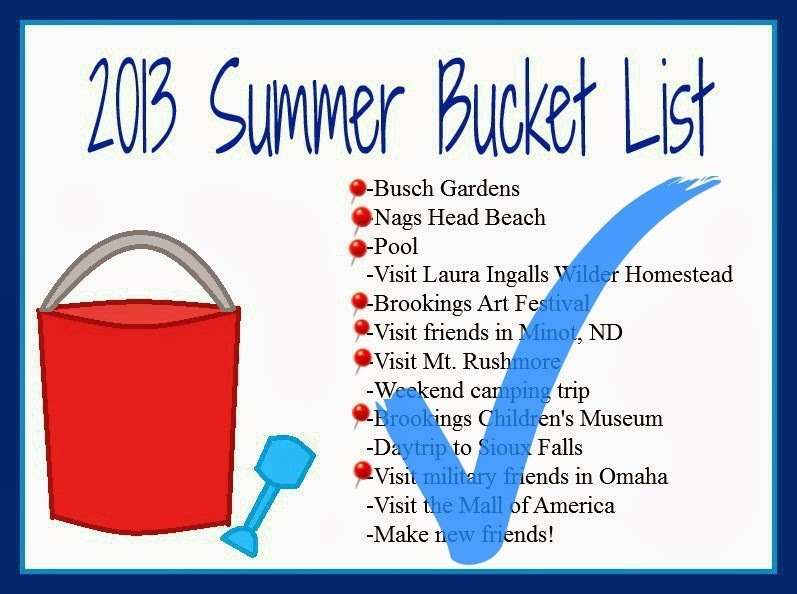 There is still that Mall of America to visit, more friends to see and the Laura Ingalls homestead nearby that I am determined to see! But until then, our memories will be made a little more local...in between school and learning. Luckily for us that produces memories all on its own! So excited here! 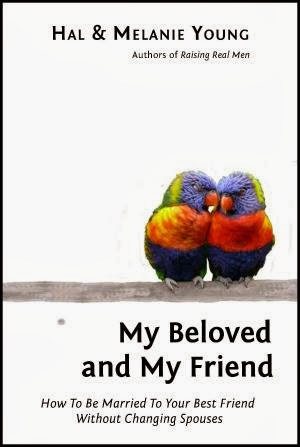 Authors Hal and Melanie Young from Raising Real Men are taking pre-orders for their new book My Beloved and My Friend! I have been blessed to be on a promotion team and started reading the book a few days ago. You will NOT want to miss this one...beautiful advice whether you have been married one month, one year or what seems like forever! You can pre-order this book for only $12.00 and get free shipping! Me gusta espanol! Of course, you knew that already right? I want our kids to learn as much Spanish as they can. We desire for our 6 year old who was adopted from Guatemala to be bilingual. Great in theory; harder when the teacher is not bilingual. What I have found in 15 years of homeschooling my kids is that I can teach them a lot of Spanish vocabulary. Teaching them to converse in Spanish is a whole different ball game. And THAT is why I love See It and Say It Flip Flop Spanish from Flip Flop Learning. It teaches BOTH vocabulary and speaking. And it has been a HUGE hit in our house. 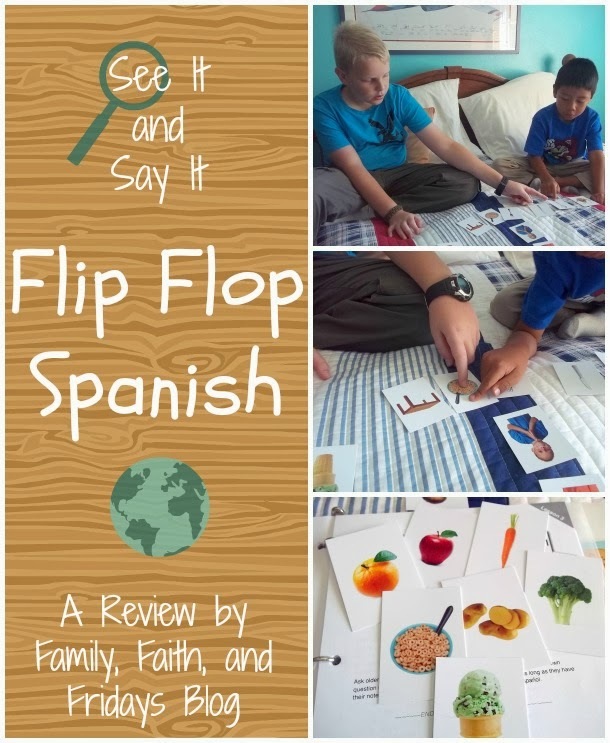 From the moment I received Flip Flop Spanish in the mail I was impressed. Packaged neatly and with clear instructions on how to get started, this 45 lesson, two year Spanish program is perfect for all ages. In this little box came the teacher's manual, hole punched and ready to put into a three ring binder of your choice. There is even a spine graphic to use for the binder! Also, included is a set of 4 CDs, three vocabulary flashcards, and a whiteboard paddle and marker. Once you get your notebook set up you are ready to teach! Flip Flop Spanish is meant to be taught over a three day week. On day one you pop in the CD and follow along in your notebook. Everything you hear Señora Gose say is also written down for easy reference. The only teacher prep involved is pulling out the flash cards she will be teaching for that lesson. Through a series of activities she will teach you the vocabulary cards and what they mean, having you touch and say them or flip them over to see the definition on the side opposite of a colorful picture of the word. On your second day of lessons, you are instructed to repeat the exact same lesson to further solidify the vocabulary in your mind and encourage even more interaction with your child, repeating what is being taught. The third day involves you "teaching" the lesson with the instructors manual only, no CD this time. Don't worry, everything you need is written down for you. One of the key components of Flip Flop Spanish is the putting together of sentences. With each set of noun vocabulary cards that Senora Gose teaches, she also teaches a few verbs to go along with them. Then she says a sentence using those words and has the student make the sentences with the cards they have in front of them. (She even includes baseball card holder sleeves to help hold the cards.) Then in parts of the lessons your child is encouraged to make up their own sentences. She adds little words like y (and), con (with) and pero (but) to help make the sentence formation a little easier. Once your child has mastered that week's flashcards you are ready to go on to the next lesson. Simple as that! Each lesson is clearly marked in the upper corner with a number so they are easy to find in a hurry. The CDs are in tracks as well so finding your place is quick and easy. Each lesson references which track and which cards will be used eliminating any guess work. So how did we use it and what did we think? Since we are all trying to learn more Spanish I decided to use this program with both of my boys, ages 11 and 6. 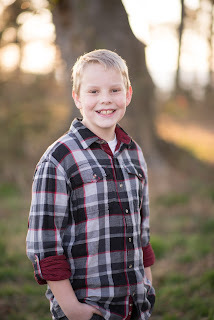 Each morning, we would meet in my oldest son's room and go through the day's lesson together. Each day we worked for about 30 minutes. We did decide to move at a quicker pace, as our vocabulary knowledge is pretty strong. The first few weeks we only spent two days on a lessons and therefore did two lessons a week at first. Once we began to run into more difficult words, we slowed back down to the recommended three days per lesson. We found that doing the lessons together was more fun than individually, though I have no doubt one child would succeed as well. For my boys, a little friendly competition was a good motivator. They enjoyed seeing who could find the words faster and kept a talley to get a winner each time. We also really enjoyed using the whiteboard paddle for games like speed rounds and pictionary. Yes. some of us are better artists than others, but oh well. It was still fun and really did help strengthen our vocabulary. The other part my boys enjoyed was the sentence building, especially silly sentences. They would put together the longest and silliest sentences they could possibly come up with. I told them that was fine, as long as they could then READ them out loud to the rest of us. I will save you from showing you the silliest! This is also the day we would add any activities she recommended as "extra fun". One of the many strengths of the program I found was that is is truly multi leveled. Throughout the lessons Senora Gose gives more in depth activities for older and more advanced students like actually writing down the vocabulary and sentences. 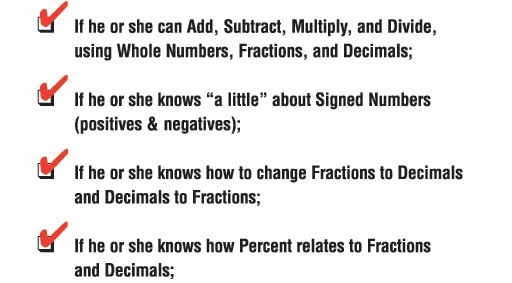 You can also move through the lessons faster with more advanced students if needed. By taking the level up a little, you can easily teach all ages at the same time...a huge advantage when a family is trying to learn together. I also found that making the sentences and having to read them aloud, as well as simply repeating the words Señora Gose said not only helped in the correct pronunciation of words, but increased our confidence in speaking. For someone who has traveled to a Spanish speaking country, I can tell you that practice in speaking is the one thing you can do to help you increase your confidence. Once your confidence is better, you will not be so hesitant to try out your new speaking skills. Learning from a native is beneficial no matter how you look at it! Whether you choose to use Flip Flop Spanish as a stand alone program, or one to supplement one you are currently using, I think that you will be blessed exponentially by using it. And be one step closer to being bilingual. Me gusta! See It and Say It Flip Flop Spanish can be purchased as a set for $99.95. Flip Flop Learning also offers workbooks for additional practice as well as readers for various levels. Welcome to our fourth Fun Friday of giveaways! Make sure you pop in each Friday through October to see what we are giving away next! Yes, this week I am teaming up again with Raising Real Men to bring you another awesome giveaway! If you did not win our last giveaway Hal and Melanie Young offered us, now is your second chance. (A third chance for another one of their great resources will be coming up next month- shhhhhhh!) 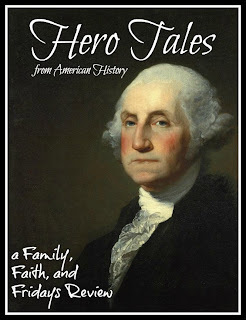 This time the Youngs allowed us to review their CD set Hero Tales from American History. Does it surprise you that we love this? After all, not only is my 11 year old son an auditory learner, but we all love to listen to CDs in the car. And friends, this military family spends a lot of time in the car! 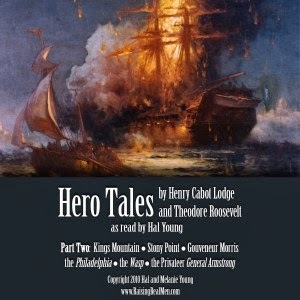 Hero Tales from American History is actually a book written by Theodore Roosevelt & Henry Cabot Lodge. Yes, THAT Theodore Roosevelt! The Youngs have taken his historically rich book and added some drama into it, from booming voices to raging cannons. The neat thing about these tales is that they are rich in lessons for children as well as adults. Theodore Roosevelt wrote them with the purpose of teaching character and virtue. I don't know about you, but I think those are definitely areas that are sorely missed in many's education. Luckily for kids today there is more than one way to teach those qualities. What child is going to balk at listening to a CD filled with great stories? It is an added bonus that they will learn about important events and people in History. Each CD is about an hour long and each story is approximately 7-11 minutes long, making them easy to listen to even on short trips out around town. 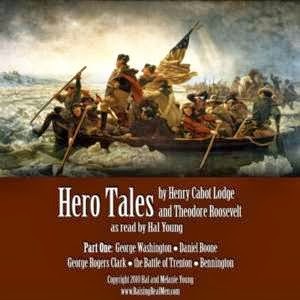 These CDs are a great addition to your library not only for just your listening fun, but also as an add in to your American History curriculum if you teach at home. What could be more fun than to read about someone in your history book and then hear their story dramatized? I have found that, especially for my boys, it allows them to soak up more information and makes them excited to share what they have learned. History comes alive to them in a real way and makes learning so much more fun. So my son's favorite story? King's Mountain! His thoughts, "King's Mountain is about when the British threatened settlers and the settlers drove them off the mountain. I like this story best because it tells where the term 'I am king of the mountain' comes from and it is exciting." You can purchase each volume of Hero Tales for $7.00 separately or the set is now on sale for $15.00... OR you can win a set here at Family, Faith and Fridays thanks to the generosity of Hal and Melanie! Enter the rafflecopter below for your chance to win. You know we love to read in our house so it should be no big surprise that I always jump at a chance to review a good book. Add to that book inspiring, often hair raising true tales of missionaries and the fact that it was written by a fellow TOS Crewmate and well, let's just say I was a little excited to share this one with you! 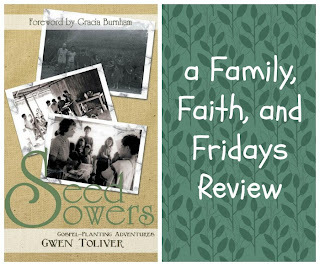 Seed Sowers has released a book by the same title, Seed Sowers, by Gwen Toliver, that needs to find its way into every Christian home. This 180 page gem is a collection of 21 different stories of missionaries and the adventures they lived. What is so unique about this book is that each story was told to author Gwen Toliver by the actual missionaries who lived the adventures. Gwen, her husband and their 8 children live in Texas and work for Wycliffe Ministries as part of their Bible Translation endeavors. Nestled among the Linguistic Center property is a retirement facility where many older missionaries reside. That wealth of experience and knowledge was just waiting to be discovered and Gwen got to be the instrument that God used to get those stories out to the public. How amazing is that? For two years Gwen was able to interview the men and women of each story and compile them into short, easy to read chapters that will inspire both young and old. Since we do devotions nightly this was a wonderful time to read a chapter as a family. It opened up not only discussion about the actual story and what we thought about it, but also allowed us to explore the location on a map if it was not one we were familiar with. Since many were South American locations, our youngest adopted from Guatemala was extremely interested. I will admit that I did find myself reading ahead several times when I would happen to sit down beside the book during the day. Something about tales of faith, endurance and fortitude just seem to pull me in. Some stories may be more familiar to you such as the sad story surrounding Nate Saint and his four friends that were killed by the natives in Ecuador. Told to Gwen by Don and Helen Johnson, you get to hear some previously unpublished facts. Don was one of the men in the rescue party that found and identified his friends on Palm beach. He was able to recount his experiences years later with the little red notebook he used to take notes at the time of the tragedy. Other stories tell of laughter, fun adventures and always of God's provision. One of our favorites was about Gene Minor, a pilot missionary to Colombia. He recounted to Gwen one of the times he was flying and his plane's engine went out. For our military family, this is one we could really identify with! Another neat part of the book is that most chapters end with an Author's Note that tells another part of the story such as when that missionary died or retired and a more complete picture of all they accomplished in their ministry. You can be sure that much of what they did will not be found in their own stories. As Gwen shares in her interview, they are a humble group and hesitant to ever bring any attention to themselves. I encourage you to watch Gwen's interview at the bottom of this review- it is lengthy, but well worth watching. Not only does she share about her book, but also shares her passion for missions and how you can get involved. Not everyone gets sent to the jungle, you know! Seed Sowers can be purchased on sale now for $12.50. While intended for 6th graders and up for independent reading, it is appropriate as a family read aloud as well. I know you will blessed to add it to your collection! This post was written just days after Miley Cyrus showed too much of her body and silliness on national TV. Mind you, I have not seen it so I am taking this on faith from the hundreds of disgusted peoples' posts I have read. Disgusted...everyone of them. Not once have I read "Yay Miley, loved that performance!" 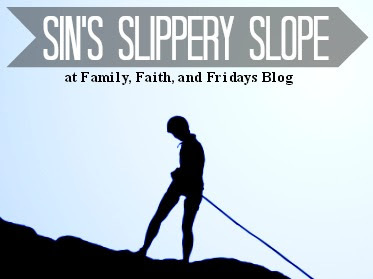 Sin is a slippery slope. Miley Cyrus did not just wake up one day and say "Hey, I think I will appear on public television and shock the world today!" Let's face it, none of us just wake up one day and choose to sin. It happens one little step at a time until we are rolling right on down that slippery slope with Miley. It is not a superstar phenomena. It is a human phenomena. And it breaks God's heart. It should break ours too. As Christians we believe that there is a line between right and wrong. We tell our kids all of the time that the goal is not to see how close we can get to the line, but instead to keep far away from the line. Unfortunately, our culture doesn't think that way. You know the drill, we tell ourselves, "But mom and dad didn't say this, or didn't say that." OR, "God didn't really say this or that." (Sound vaguely familiar? Read Gen. 3:1) We justify ourselves and take one step closer to the line and pretty soon...yep, you guessed it, down the slippery slope we go. So what's a mom to do? What is a teen to do? What is a person to do? 1- Pray! And not just for Miley, although she desperately needs our prayers! We all need prayer. Ask The Lord to show you His will and that you will know what pleases Him and displeases Him and act accordingly! 2- Guide our children. I hope that girl's daddy pulls her aside and gives her "a talking to." You are never too old to have a chat with your momma and daddy in our house. We need to stay involved in our kiddos lives, from the time they are born until the time that one of us dies. That's what parents do. That's what parents SHOULD do. Yes, our children do grow up and make their own decisions but we should not stop guiding them just because of a date on a calendar. 3- Keep our families grounded. Wealth and fame do NOT make you happy. Tell your children that. Teach them that only The Lord brings true joy. 4- Surround your families with people of similar values and convictions. One of my favorite things about our friends is that they share our family vision. Are they just like us? No. But they are similar. They hold us accountable and they challenge us to do better daily. They love our kids and would get in line to give our kiddos a talking to if they pulled something like Miley. I love that! And I love them! 5- Pray! Did I mention that already? Just like our kiddos who are tempted to put their toes right against that line (or even one toe over, like a certain 6 year old of mine) we are all tempted. We all sin. (Romans 3:23) We may not all want to show everything we have to the world but we want to tell just one little white lie, or tell just one secret, or ignore that speed limit just this once, or flirt with that one person, or cheat just this one time. Regardless of what it is, if it is against the Word of God, it is sin and it is on that slippery slope, just waiting for you to take that step. Beware. We are all just one step away from Miley. It can start with a not so innocent party in the USA and end who-knows-where. No matter how easy it is to shake our head at her and justify our own behavior, we too are only a few steps away. What are you doing to stay off the slippery slope? This post is linked up with Caroline at The Modest Mom blog! We are also linked up with Amy at Raising Arrows! Welcome back to week 3 of our Fun Fridays Two Months of Giveaways! I hope you are having fun...I know we are. Congratulations to Tracey D. for winning a copy of the Managers of Their School book! Hope you enjoy it! So this week, a little something different! Several years ago we came across a book that encouraged you as family to memorize 100 scripture verses. We challenged some friends to join us and then dove in. It was a wonderful experience but a little more challenging for the two younger kids as some of the verses were pretty hefty. I am amazed at what kids can learn, but let's face it, some verses are just more easily understood than others for younger children. Since then we have chosen our own verses and often shorten them for the younger kids. Now, I have something even better! Scripture Stickies! When founder Julie Alvarez contacted me about reviewing these little gems I was thrilled. They are perfect for our family! Many different packs are offered, including kid packs, which contain 10 verses. These verses are not only slightly shorter, but are ones that are easily understood and quite applicable to our kids' lives. Verses like Ephesians 6:1 Children, Obey your parents in the Lord for this is right and Philippians 4:13 I can do all things through Christ who strengthens me to name just a few. Again, the kid packs come with 10 different scriptures for you to memorize. 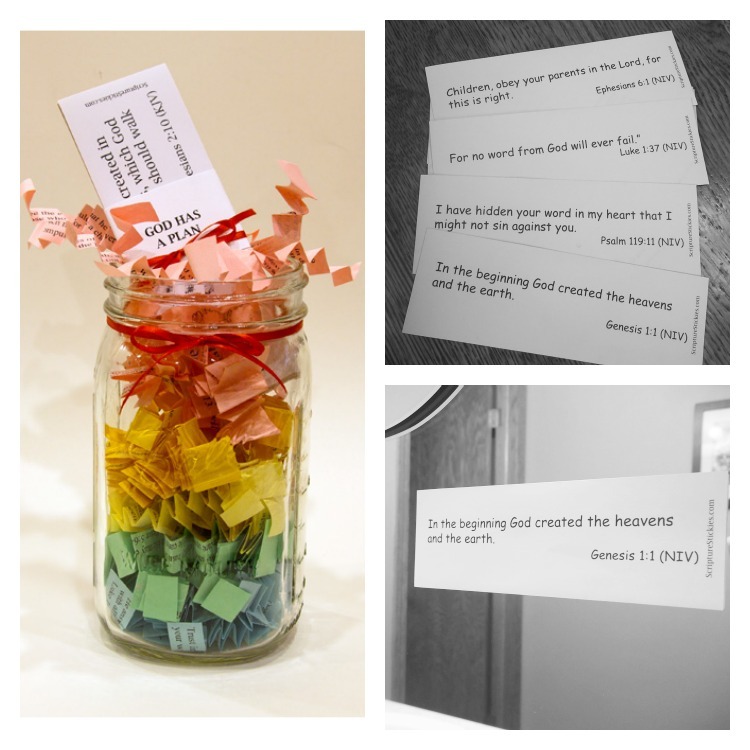 The best part - each scripture is printed on a post it note-type backing so you can put them where they are easily seen. Since my kids are sharing a bathroom these days, onto the bathroom mirror they went, one each week. There they can be seen several times a day and are a good reminder to practice! I love it! Scripture stickies are offered in NIV, NKJV, KJV, NASB, ESV and some foreign languages as well. You can buy individual packs or you can buy the Scripture of the Month club, in which a new pack is sent to you each month on a different topic. Each of the standard packs have two copies of 5 different verses. Stick one in your home and one in your car or somewhere else you spend a lot of time and you will be on your way to hiding God's word in your heart. These fun little packs are perfect for gifts, party favors and would make great stocking stuffers. Guess what my friends will be getting in birthday cards? ;) shhhhhhhh, don't tell! Ready for the fun? 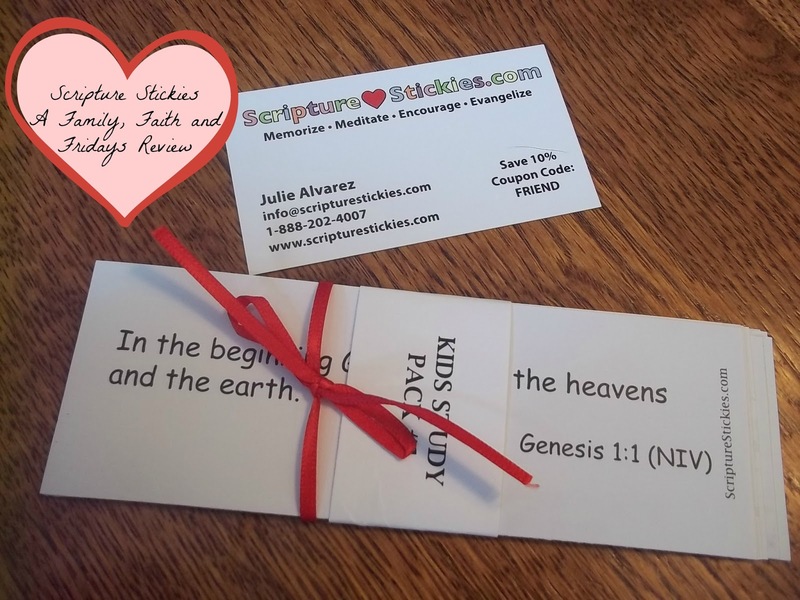 Julie is offering one reader a chance to win a Scripture Stickie pack of your choice. Enter the rafflecopter below to win! Doctor? Lawyer? Policeman? Cook? Teacher? Lab Technician? Writer? My goodness, the possibilities for our children are as endless as the stars! So how does one know what one wants to do in life? How does a parent start to counsel their child about all that there is to choose from? So many of the choices depend not only on training and interests, but also strengths and weakness. PeopleKeys is a company that provides various tools, online and printed, for behavioral assessments. Though these assessments can be used by companies to help them hire the best fit for a particular job, they can also be used as a way to personal discovery as well. I love this company's tag line- "unlocking human potential". How great is that! Each person has so much potential and sometimes we just need a little encouragement to find our niche. 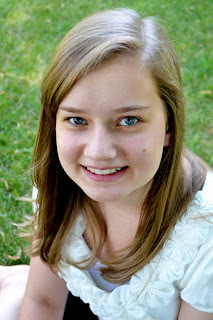 We had the privilege of using the DISC Career Style Report for my 15 year old daughter. Since she is nearing the age of college and career choices, we thought it would be fun to see what someone else had to say about her strengths and weaknesses. The DISC is supposed to be able to analyze not only those two things but also communication styles, workplace styles, one's limitations and potential contributions to a team. DISC is short for Dominance, Influence, Stable, and Compliant. In a series of questions rating from most likely to least likely, the DISC system evaluates you and your personality. This 15-30 minute online test is easy to access and once taken is immediately scored. Test results are then emailed to you. The end result shows your "type", which is a combination of the DISC values you received. The test results come in several sections. First, Description. In this section your style is described by a key word. That key word is then further broken down by General Characteristics, Motivations and Ideal Environments. Our daughter's style was called "Governor", one who is "people-oriented, verbally fluent and loyal." Yep, that's her to a tee. One of the things that impressed me about this section is that it is not all positive and sunny skies. It does show some possible downfalls and cautions, which I think is important for young people especially to hear. Based on the DISC assessment, careers are listed that are deemed of interest to you. This was no small list. If you are looking for AN ANSWER, this will not be helpful, possibly even overwhelming. But for those like us who wanted to get a list of not often thought of possibilities, this list was great. Over 40 careers were listed. Your second highest profile, in her case "S" (stable) is also listed with even more choices. Which one will she choose? Well, that is still open for debate, but at least she now has a few more possibilities to explore. And finally a section called Scoring Data. This section simply showed a graph with scoring for each value, D, I, S, and C. This is helpful in seeing how strong or weak you are in each area. What we thought- We really had fun with this review. I think my daughter was pretty nervous and skeptical about taking it and then was pleasantly surprise that, 1) it was a non- threatening test and, 2) that it pegged her pretty accurately in our opinion. Much of what we read we would shake our head in agreement on, specifically the part that mentioned "does not like confrontation but will handle it well", or "make loyal and dependable friends". 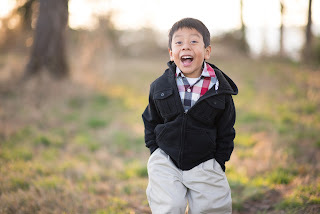 I like that your child is able to see themselves through another lens other than their own. Isn't that, after all, what we need to be teaching them? That people are watching and noticing and that they are not an island unto their own? Because of her age, we were most interested in the Career Match section. Like I mentioned, there are a lot of choices on this page that can be overwhelming at first, but I like the fact that it allows a young person especially to see that there are so many great options out there. Unlike the well known options I first mentioned, the DISC talks about less well known, but equally exciting options that this mom would have never thought about suggesting. Now one of our goals is to mark some that sound interesting and do a little research on them. I firmly believe that we should encourage our children to work within their strengths and identifying them is an important part of that process. Once they know more about themselves and the opportunities out there, the better they will do in this world! The DISC Career Style Report can be purchased for $32.00. Our CREW was able to review many different products from PeopleKeys, so I would encourage you to click on the banner to take a look at what they had to say. We school year round. Yep, we really do. It is one of the things I love about homeschooling. Notice I did not say it is one of the things the kids love! ;) We usually "start" school in August and "finish" up mid May and then take a week or so off to regroup. Then we start a lighter schedule which usually consists of math and many review items. Being on the TOS Review Crew has been a HUGE blessing to us, providing us with unbelievable curriculum, books and extras we would have never had access to otherwise. A lot of these things we review in the summer months which is perfect timing and allows us to concentrate on them exclusively for a while. Then, one random day in August I decide to "start" school again in which we add a few more subjects back in. After that week, I take a week off to regroup and evaluate as well as schedule our full days and then off we go again. Sounds complicated, but really, it works for us. So yes, I realize I am a little behind in posting this. Most of you have already started school and know EXACTLY what you are using this year. But for those of you who need some ideas or just like peeking into other's school rooms, here is what we are doing this year. Science- Apologia's Exploring Creation with Zoology 3 Land Animals and junior notebook. If you have never used this science, I encourage you to take a look at it. The books are beautiful, amazing, and so much fun! Writing- Write Shop. This was new to me until I did a review for them last year for my older son. We started with the first book and are having a good time with it! Spanish- Those of you who know me know that this is my passion so here goes!- Homeschool Spanish Academy, Flip Flop Spanish Review coming soon!) and Song School Spanish. YES, we really are using ALL three at once time and loving every one for the things they bring to our day! Language Arts- Another area we are all over the place in so bear with me! Explode the Code and Logic of English for now. Reading- ABeCeDarian. Once we finish the Sonlight readers we will begin the Lightening Literature program. We also use the Reading Kingdom and McGuffy Reading Apps on a weekly basis! Spelling- This one we have held off on but I think I am going to start back with All About Spelling next week and see how he does. I think the hands on will be a good fit. History- Notgrass America the Beautiful Yes, we walked away from Sonlight History for this one. It was a hard decision for me, but my son loves it! Science- ABEKA Observing God's World. I am keeping my eye out on the new Apologia Chemistry book that has just been released as well as the new Jay Wiley Creation Science, but for now we will stick with this. Writing- Cover Story This is brand new, put out by the people at One Year Adventure Novel. Next week will be our first week, but at first glance- WOW! Spanish- Flip Flop Spanish (review coming soon), Power Glide and Spanish For You! Geography- Finishing up Memoria Press Geography 1 and love it! Bible- Apologia's Who am I? And What and I Doing Here? We reviewed another book in this series and knew we had to read them all! This kiddo is also studying for the Biology and Algebra CLEP tests, as well as taking photography. She is a busy beaver! Wow. That makes me tired just typing it all. You should see how we all look at the end of the day! Yes, a little tired. Some days, even a little brain fried. But hopefully in the end, a little smarter as well! 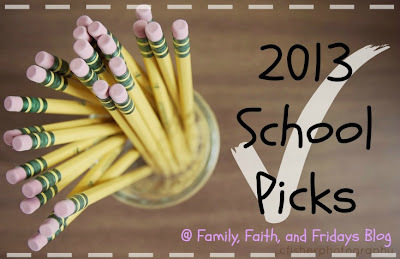 I pray you all have a blessed school year- public, private, OR homeschooled! *None of the curriculum listed are affiliates. They are just products are family uses and loves!